Mondial Flowers is an online florist that sends flowers to Martinique. Martinique florist offers flower delivery for any occasion including: Wedding, Valentine, funeral, sympathy. Whether you are looking for a personal way to express your affection for loved ones away from you, or make that first impression which will make that special someone smile in years to come, Martinique Florist can provide just the right bouquet to get your message across. Our Martinique florists supply beautifully arranged flesh flowers for customers locally, nationally and internationally. Whether you are looking for a thoughtful gift, wedding flowers, floral tributes or sympathy flowers, we offer a dazzling range and impeccable personal service at very reasonable local prices in Martinique. Order flowers to Martinique for Valentines Day now! Now Valentine’s Day is almost upon us why not order one of our beautiful arrangements. Each arrangement is carefully hand prepared by local Marinique florists and presented to ensure your loved one will be thrilled. In their flower shops, our Martinique florists have arrangements to suit all tastes and budgets and because of our delivery network you can be sure that your flowers will arrive safely and on time. 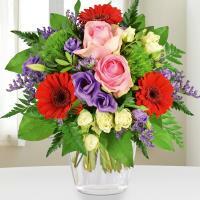 Martinique Florist ensure that sending flowers arrive on time and in exceptional form every time. We believe that top quality flowers should only be expected as norm. Come on be the person that makes Martinique people happy and send flowers to Martinique!